More than 20 mummies from Egypt and Peru, countries that practiced mummification longer than any others, are on display at the Natural History Museum of Los Angeles County from Sept. 18 to Jan. 18. “Mummies: New Secrets from the Tombs,” is the first touring exhibition of North America’s largest collection of mummies, and many have been tucked safely away in vaults for more than 100 years. It was developed by The Field Museum in Chicago, and will tour several cities before it returns to Chicago in 2018. The exhibit is divided into two sections — Peru and Egypt — and each discusses who is inside the wrappings, how climate helps preserve human remains, and modern methods of examination. Thanks to medical imaging technology, visitors can peer inside the outer wrappings of some of the mummies without disturbing the exterior. Other methods such as CT scans and DNA testing allows scientists to give us a deeply personal look at the lives of the adults, teens and children who are included in the exhibit. According to the museum, the Peruvian section of “Mummies” examines the different mummification and burial practices of Peruvian societies who buried their dead with objects often indicating their roles in life, such as weavers and fishermen. In contrast to the Egyptians, who tried to seal tombs forever and guard against thieves, Peruvians would often enter tombs to replenish food and drink offerings to their relatives. The Egyptian section of “Mummies” recreates a walk-in tomb featuring real stone sarcophagus fragments and a real, intricately painted coffin from 600 BC. 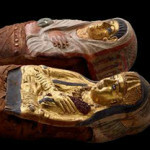 Visitors will understand why Egyptians mummified cats, baboons, gazelles and crocodiles, and included these animal mummies when burying their loved ones. “Mummies” has interactive elements like the touchscreen that allows visitors to peer under the intricate wrappings of an Egyptian woman, whose mummy bears a beautifully gilded mask. Other objects included in the exhibit are stone sarcophagus fragments, detached skulls, animal mummies, burial figurines and pots to bring food and beer into the afterlife. To mark the arrival of autumn, visitors to Big Bear Village (at 7,000 feet — think cool) will be greeted by dozens of colorful scarecrows, created by local merchants who compete annually for the Best Scarecrow Prize. The prize categories include best reflection of Big Bear; most traditional; spookiest; best use of recycled material; most reflective of business or organization; and most humorous. The scarecrows will reside in the village between Sept. 25 and Nov. 8; place your vote by Oct. 30. Awards presented Oct. 31 during Halloween in the Village. For information on lodging and attractions in Big Bear or a free visitor guide, visit www.bigbear.com or call 800-424-4232. September in California is synonymous with all things wine, and no matter where you are in the state, you aren’t far from one or more wineries and some of the many events scheduled during September and October. In San Diego County, visit any one of the 50 wineries in our area and sample the fruits of their labors. 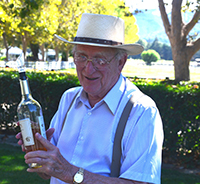 Visit http://sandiegowineries.org/ for winery locations and events. If it’s a day trip you want, head north to just over the Riverside County line to Temecula where most of the area’s three dozen wineries are located on two main roads. The Sept. 19 Temecula Valley Crush features 100-plus area wines paired with food from local restaurants and farms and live music. 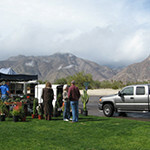 Visit http://www.discovercaliforniawines.com/temecula-valley-crush/. As for the rest of the state, you’ll find plenty of info on wine regions, wineries and events at www.discovercaliforniawines.com, and www.wineinstitute.org. Looking for that perfect cheese to accompany your favorite wine? 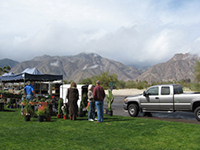 Borrego Springs celebrates the 50th anniversary of its Borrego Days Desert Festival Oct. 23 (5 p.m. to 10 p.m.); Oct. 24 (10 a.m. to midnight); and Oct. 25 (10 a.m. to 5 p.m.). There’ll be a festive parade with marching bands, floats, equestrian groups, vintage cars, kids’ activities, live music and lots of retail booths and food. It all takes place in Christmas Circle.